This Japan-only BRZ comes with Sachs dampers, Brembo brakes, and precisely zero extra ponies under the hood. Subaru has revealed yet another special edition BRZ—the BRZ STI Sport. 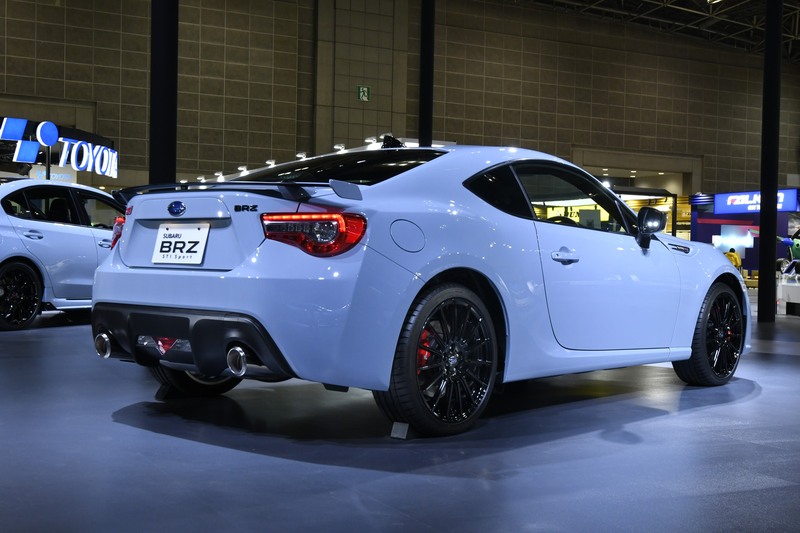 Developed, as its name implies, in collaboration with STI, the STI Sport is said to simultaneously be the best-driving and most luxurious BRZ to date. Before you ask, no, Subaru stubbornly still hasn't given it any more power. No turbos, no superchargers. No ambiguous claims of under-the-hood massaging. What the BRZ STI Sport does get, however, are Brembo brakes all around, Sachs dampers and coil springs, flexible V-braces, flexible front draw stiffeners, and a set of black 18-inch wheels wrapped in upgraded, high-performance tires. To visually set things apart, the STI Sport receives a slightly different front bumper, blacked-out mirrors and BRZ badge, and of course, STI badges sprinkled throughout the bodywork. 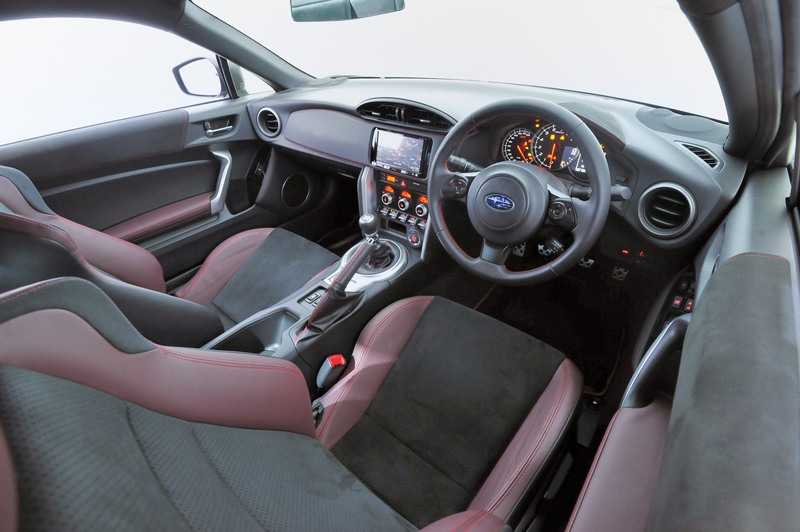 On the inside, Subaru has thrown in dark, red leather seats with Alcantara inserts, a leather-wrapped steering wheel, glossy black trim on the HVAC and window controls, and stainless steel STI-branded door sills. While the lack of spec-sheet-improving enhancements Subaru has given this car since its 2012 launch is a little disappointing, massive gobs of power was never this car's MO in the first place. 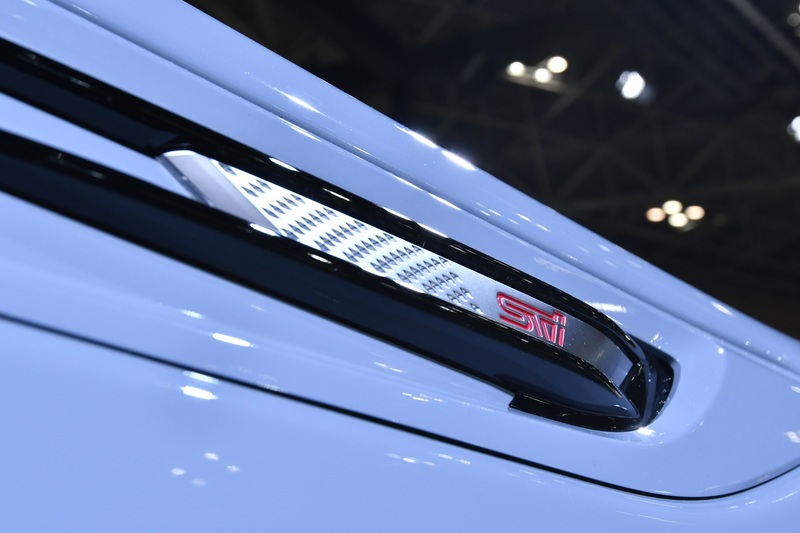 In any case, the STI Sport's lack of engine enhancements likely won't affect most of The Drive's readers as—surprise, surprise—the BRZ STI Sport will be a Japan-only car. This is the first time there has been a spec class for autocross competition. Sorry—no extra power for the BRZ.